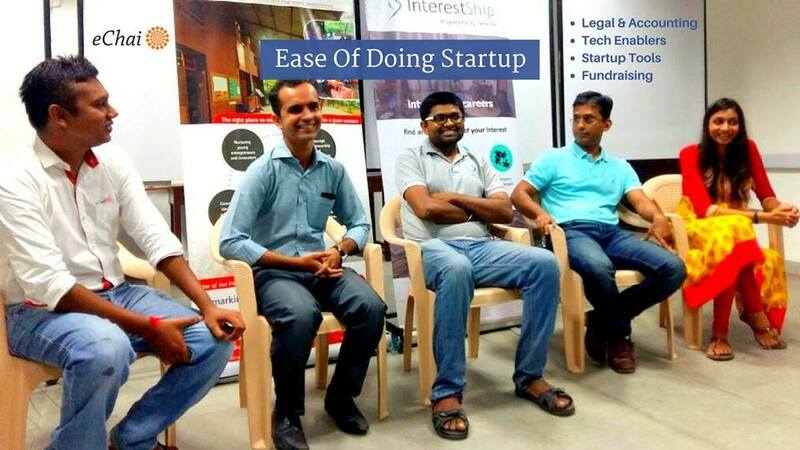 eChai and Innocity will be hosting the ‘Ease Of Doing Startup’ program in Ahmedabad at CIIE, IIM Ahmedabad on 3rd Feb, Saturday from 6 pm to 8 pm. We will have a group of entrepreneurs, CAs, law firms and Service providers to help you get started with your venture and/or to help you understand the specific aspect of running an enterprise. We will also have an online QnA session at eChai.in where you can ask any specific questions to any of the mentors or to the community. – How to register a company? – How to get the company bank account? – What are the key legal & accounting related aspects the one needs to take care of? – Which are the good ISPs? – Which are are the good payments to help them get started? – Which are the good technology service providers? – How to find a right technology partner? – Which are the useful Startup Tools? eChai is an amazing offline-online Startup Social Network which helps you grow your Startup #CoRise Network, Get more business and CoLearn with the community.